The Double Negative » Can You Tell What It Is Yet? 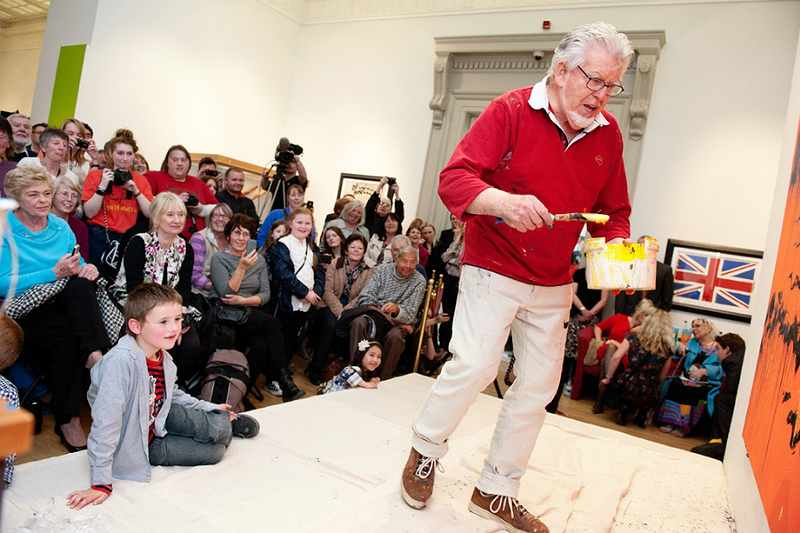 Rolf Harris: all-round light entertainer, inventor of the wobbleboard and the country’s favourite Aussie import, recently opened retrospective exhibition Can You Tell What It Is Yet? at the Walker. 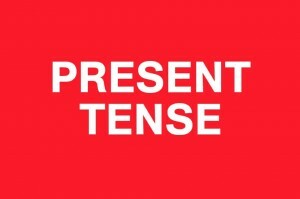 Yup – a retrospective. As like, a serious artist. But it’s all a bit of fun isn’t it? How seriously do you take a man who’s built a career singing about kangaroos and extra legs, and made a living scribbling cartoons on the gogglebox? If that’s your perception then you might be in for a surprise. Heading into the first room we’re treated to a ‘what’s what’ of Rolf’s musical career – magazine covers, LP artwork and related paraphernalia. So far, so unimpressed. Switch the gold discs for rancid old socks and poster torn out of the NME and you’ve got the bedroom of the average teenage boy. That said, some of the cartoons are really rather super, and knowing how many copies ‘Two Little Boys’ sold will stand us in excellent stead for our next pub quiz. There’s also a painted grand piano in the foyer. It is awesome, so if anyone would like to help us steal it please do get in touch. We’re coming across a little sceptical, right? Don’t worry – it won’t last much longer. The next room is entitled Rolf on Art and raises our hopes that we’ll be seeing something a little more technical than 7-inch Rolfaroos. And we do – the space is chock-full of oil paints, Impressionism and Rolf-as-Rembrandt (at this point we should mention that Rolf spent four series of BBC time recreating super famous paintings in the style of the original artist). It’s essentially the prettiest covers album ever, and a wildly impressive showcase of broad artistic talent. Rolf on Art is also our first experience of one of the exhibition’s defining features: the TV screen. Not only do we get to see Rolf’s creations up close and personal, a big screen – complete with handy viewing bench – lets us check out his artistic process. Someone says ‘Rolf Harris’ in your presence. After the cartoons, we’d be willing to bet the first thing that pops into your head is mad, neon landscapes painted with a brush the size of the average human head. These guys are out in force too, grand panoramas juxtaposed with teeny moments of urban life – like a bunch of people coming out of the Walker, or a distinctly Benidorm-looking couple sitting at an outdoor table. The man Harris, CBE (can Aussies be knighted? Get on it, Lizzie) certainly has broad tastes. There’s so much stuff in this exhibition it could easily have been a mess; instead, curator Charlotte Keenan and Rolf himself have created something kind of wonderful. How is this the first gallery exhibition of this guy’s work? 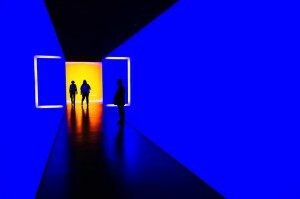 OK, so he doesn’t paint in his own blood, lock himself into tiny spaces or create large-scale light installations designed to dazzle. But does all that matter? Can You Tell What It Is Yet? isn’t groundbreaking, and it’s certainly not perfect, but it is rather lovely.